If you’ve ever experienced a personal injury due to an auto accident or a work-related injury, you know the seriousness of it. But at the time, you may not have realized how important your next decisions were following the accident. Many injured people choose to sit on their injury for a while. Some choose to immediately pursue a law suit but believe they’re fine to represent themselves. We’ve shared before about the top things you should do immediately after a car accident. But today we want to talk about what you should do when you’ve realized you’ve been injured. With any personal injury accident, whether it be major or minor, you need to take proper action in order to protect yourself. One of the first steps you can take to ensure your safety as a personal injury victim is to acquire proper legal representation through the services of a personal injury attorney. After a personal injury incident, the insurance company of the person at fault can dispute its policyholder’s liability (liability dispute). An insurance company can also refuse to make a reasonable settlement or any settlement at all (refusal to pay). This process gets more complicated with multiple parties involved. In these circumstances, you may be prone to insurance claims from other parties involved in the accident. This also decreases the amount of settlement money available for the parties involved, making it your attorney’s number one goal to get YOU the compensation you deserve. Kentucky Pain Associates completely supports the use of good personal injury attorneys. We know that the average person is not familiar with the claims process or the ways to protect themselves among other parties operating in bad faith. That’s why we’ve proudly supported several local personal injury attorneys in Kentucky because they’ve been a huge help to many of the patients we’ve treated. Studies have shown that serious personal injuries often lead to more serious long-term effects rather than short-term effects–this could be mentally, emotionally, and most definitely, physically. It is crucial after your experience the injury that you address any medical needs you may have as soon as possible and seek proper care from a medical provider. After you have addressed your medical concerns, take the time to find legal representation for your personal injury case. Symptoms do not immediately surface after an accident, so it’s important to be medically assessed and at least start a conversation with a personal injury attorney no matter your own immediate feelings about your pain or injury. Long-term effects of an accident often have greater implications for a victim. You want to recoup these costs by filing an insurance claim that won’t be denied. Long-term injuries and disabilities can affect your financial stability in the future. 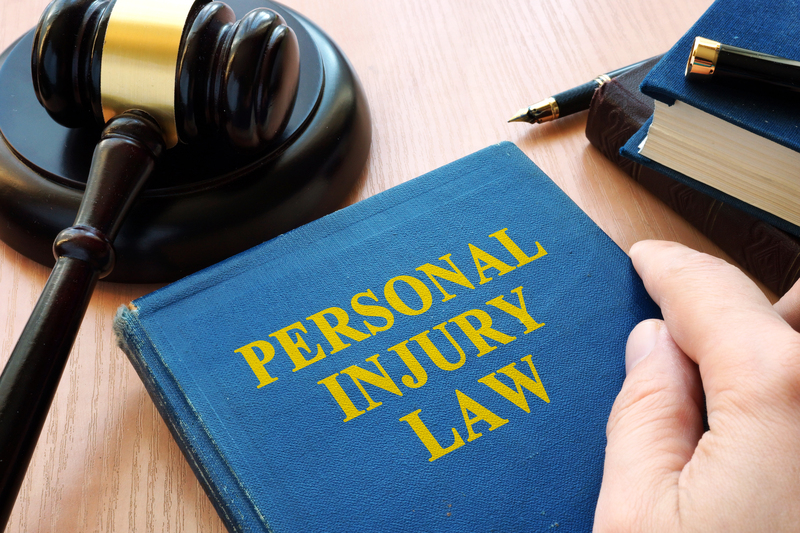 Personal injury attorneys are skilled to make sure your earning ability over time is not affected by your injuries and in the instance that it is, you are adequately compensated. Here’s what our team, along with an auto injury attorney we work with, has to say about the importance of a good personal injury attorney and a good medical provider for injured people. Watch below. Another advantage of hiring an attorney rather than representing yourself in a personal injury case is the reputation their name holds. That can provide higher success rates for you. For any personal injury victim, it will never harm a client to sit down with a reputable firm to discuss the details of your case. Personal injury firms provide free consultations to meet with one of their staff members too. Personal injury attorneys work on a contingency fee basis, which means there is no legal fee unless the attorney recovers compensation for your injuries. An experienced lawyer has seen many similar cases to yours and knows how the legal system will work with it. Kentucky Pain Associates offers trained medical doctor’s to personal injury victims to provide the necessary care you need after an accident of any kind. We also offer the medical data and support to a personal injury attorney if you choose to utilize one. If you need expert care and/or a recommendation for an attorney for your personal injury case, email kreibling@kypainassociates.com or leave a comment below. If you are a personal injury attorney, feel free to pass on this blog to any potential clients who are considering your services.